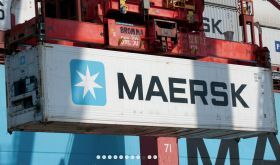 AP Moller-Maersk has acquired Vandegrift, a US-based customs house broker, representing its first acquisition of the year in what it described as the fast-growing logistics sector. According to the company, customs house brokerage is a key component in its strategy to become an integrated container logistics company, providing end-to-end solutions to customers. The acquisition will enhance Maersk’s commercial solutions pipeline and strengthen the logistics presence in the North America market. “Customers have been asking us to simplify the complexity of their global supply chains and reduce their risk so we analysed the North America market to see who had the best reputation in the brokerage/trade compliance industry and deliver immediate results to all vertical segments of our account base, said Klaus Rud Sejling, head of global logistics and services at Maersk. "Our findings identified Vandegrift’s top tier, professional service provider reputation, strong operating platform of services, stellar people and culture ideally fit our expectations and commercial approach as One Company,” he noted. Vandegrift is a customs brokerage business established in 1951, based in Clark, New Jersey. The core business is customs brokerage with 170 people in twelve offices, while the company also specialises in trade compliance with a team of former US Customs and Border Protection (CBP) officials as well as individuals with backgrounds in customs brokerage, retail and law.